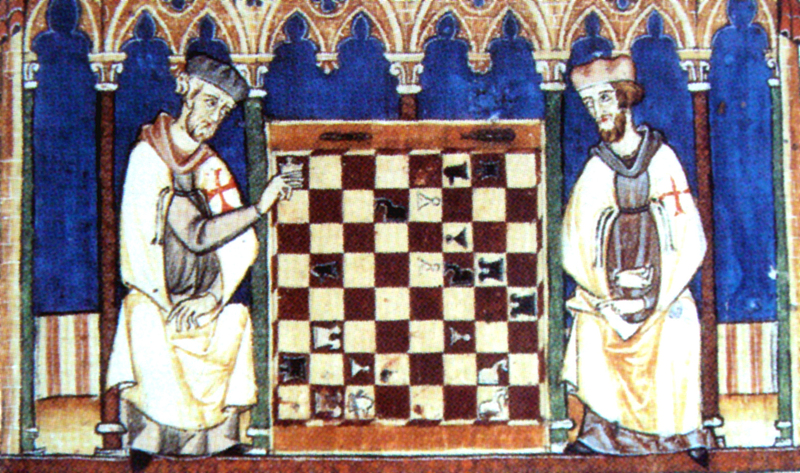 Knights Templar playing chess, Libro de Ajedrez, dados y tables, Alfonso X, 1283. Used under Creative Commons license. Got questions? Shoot me an email, call or just stop by the front desk in Clapp Library and ask for me! Epistolae: Medieval Women's Letters - letters to and from women, 4th-13th century AD, in translation, by Dr. Joan Ferrante. EuroDocs - search by country, then scroll through the chronologically-arrange primary sources. Not everything is in translation. British Library Digitized Manuscripts - A major collection of digitized manuscripts. Use this website to view digitised copies of manuscripts and archives in the British Library’s collections, with descriptions of their contents. Digital Bodleian - Major collection of Eastern and Western manuscripts available online. Index to journal articles on women, sexuality and gender in Europe, North Africa and the Middle East, 450-1500 C.E. Database of the contents of thousands of libraries worldwide that easily lets you request items we don't own. digital library by major research institutions & libraries, with freely searchable content as well as some "sneak-peek" (copyrighted) content. The classic, comprehensive (10 vol.) work on medieval history. Examines the socio-cultural history of the regions where Islam took hold between the 7th and 16th century. Cultural, religious, intellectual, social & political history.